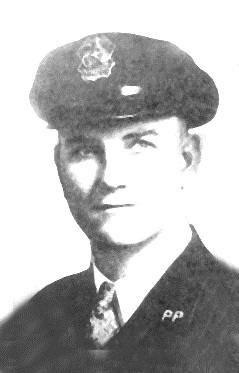 On Monday, July 15, 1935, Puyallup Chief Frank Chadwick and Officer Harry Storem were shot and killed while attempting to capture a bank robber near Alderton in Pierce County. At just before noon, Roy Willard Jacobs, entered the Orting State Bank, 120 East Washington Avenue in Orting, walked up to the teller’s cage, pointed a .32 caliber semiautomatic at the teller and demanded cash. The teller, Leslie A. Stone, took three bundles of bills, one real containing $500 and two others that had fake $5 bills at the top and bottom, out of his drawer and handed it over to Jacobs. Jacobs backed out of the bank and ran to a waiting older model blue Buick sedan. Jacobs took off northbound on the Orting-Sumner Highway. Stone, who had been robbed before, grabbed a rifle and shot once through an open window at the Buick as it took off. He then telephoned Puyallup City Hall where information about the robbery was relayed to Chief Chadwick. The chief, with Officer Storem, headed east towards the highway, hoping to cutoff the robber. Pierce County Sheriff’s Office radio broadcast the vehicle description and suspect description to surrounding agencies. As Chief Chadwick and Officer Storem sped towards Orting, they passed a speeding blue Buick. They turned on it and began chasing it northbound on the Orting-Sumner Highway. The Buick suddenly turned east on the Elhi Hill Road as the pursuit continued. Jacobs began to zigzag across the roadway trying to keep the patrol car from passing or forcing him to stop. The Buick turned the corner north onto Riverside Drive East and stopped suddenly near the Orton Bulb Farm. Jacobs bailed out of the passenger side of the Buick and ducked behind it. Chief Chadwick rolled up to the car on the left side of the road about a half of a car length in front of the Buick. Jacobs then rushed the patrol car. Chief Chadwick was shot once as he exited the driver’s door and Officer Storem was shot three times. Two spent .32 caliber shells and powder burns indicated that Jacobs reached through the door of the patrol car to fire on the officers. An eyewitness, John Urdea, was standing near a mailbox about 150 feet away from the shooting and saw Jacobs leave the scene in the Buick. Sumner Chief of Police Morris C. Nelson was approaching the scene as the shooting took place. He gave an updated description and that he saw the Buick now headed north on Riverside Drive East toward 78th Street East (what was then the Pierce County Poor Farm and Infirmary). Chief Nelson stayed at the scene to aid the fallen officers. Later, another witness saw the Buick, with it its radiator steaming heading down the Sumner-Stuck Road. Ambulances were called to the scene by Puyallup attorney Elmer Healey and his wife. They happened upon the scene of the shooting and drove to the Orton farm to call. Chief Chadwick and Officer Storem were transported to Puyallup General Hospital, 114 Fourth Avenue NW, where they were both pronounced dead on arrival. At around 1300 hours, the Buick was discovered with a flat tire along the Puyallup-Sumner Highway (now Fryar Avenue) near the railroad bridge crossing the Stuck River by a Sumner-area realtor, Fred Carnahan. He was flagged down by Jacobs, who was standing with the now overheating Buick. Carnahan stopped, but after seeing Jacobs, he decided not to give him a ride. Jacobs was last seen running through the Zehnder farm pea-fields toward the Fleischmann’s Yeast Plant and the railroad bridge. Carnahan arrived home a few minutes later and learned of the murders. He immediately telephoned Pierce County Sheriff Jack Bjorklund with the information. The Buick was towed to the Sunset Garage in Sumner where Tacoma Police Sergeant Fred Scheutze examined it for fingerprints. It had been stolen from Tacoma at about 1000 hours and Sergeant Scheutze found three different sets of license plates, the official Pierce County set and two stolen King County sets. A pair of cotton work gloves was also recovered, but nothing else of evidentiary value was found. The fingerprints were not on file locally, but they were airmailed to the FBI in Washington, D.C. for further examination. Sheriff Bjorklund and Chief Nelson organized a posse, which included King County deputies sent by Sheriff William B. Severyns. As the manhunt began, it was learned that a local Milwaukee Road freight train had been standing on the tracks west of the Stuck River and left Sumner before the posse began its search. The manhunt was called off officially on July 18th. An exhaustive investigation led King County Deputy Orin Bodia and Pierce County Undersheriff James Milone to Kelso where they arrested Jacobs and returned him to Tacoma. Jacobs was able to present an alibi that he was in Kelso on Monday. Not all of the witnesses could positively identify Jacobs as the shooter. In fact, Urdea was the only person who positively identified Jacobs. Due to the inconclusive lineup identifications and a presumed solid alibi, Jacobs was released to the custody of the Yakima County Sheriff to face charges there. The case remained unsolved, even after additional investigation by Washington State Patrol Special Investigator Jack Crooks and an Enumclaw Marshal Tom Smith.  In 1942, Sheriff Bjorklund received a tip that caused him to assign Detectives Sigurd Kittleson and Luther Wright to investigate. After another review of the case, the detectives were convinced that Jacobs had to be the suspect. After reassembling the witnesses and getting information that Jacobs had asked a nephew for help in the bank robbery, prosecutors filed murder charges against Jacobs for the killing of Chief Chadwick. In July 1942, while in the Pierce County Jail, Jacobs confided in another prisoner, Roy Potts, that he had killed Chadwick and Storem. Potts was held as a material witness in the case. On October 29, 1942 the case was sent to the jury and after three hours, they returned with a guilty verdict. On November 7, 1942, Jacobs was sentenced to hang at the Washington State Penitentiary. On April 6, 1943 the death sentence was carried out at Walla Walla. Jacobs was also the accused murderer of Yelm Marshal Cornelius Pake on February 6, 1926 but the trial ended in a hung jury.